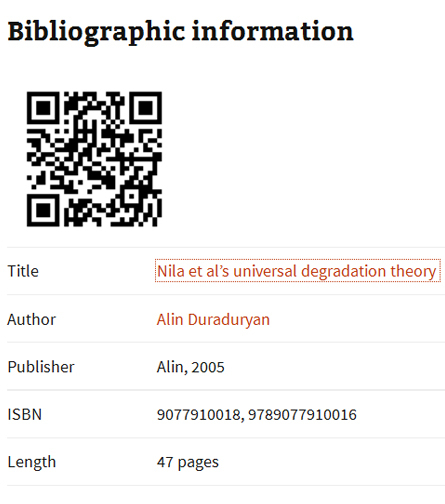 Nila et al’s Universal Degradation Theory is an artwork inspired by its metaphysical tale. The project created a musical instrument which has been performed during my art-science graduation exam, three videos and a book publication (fully downloadable). Nila et al decide to build a measurement device to be able to measure the critical point of MU. The critical point of MU is a point that can be observed through a continuous degradation of fixed perception points. This requires a rhytmic random and continuous movement for the performer. 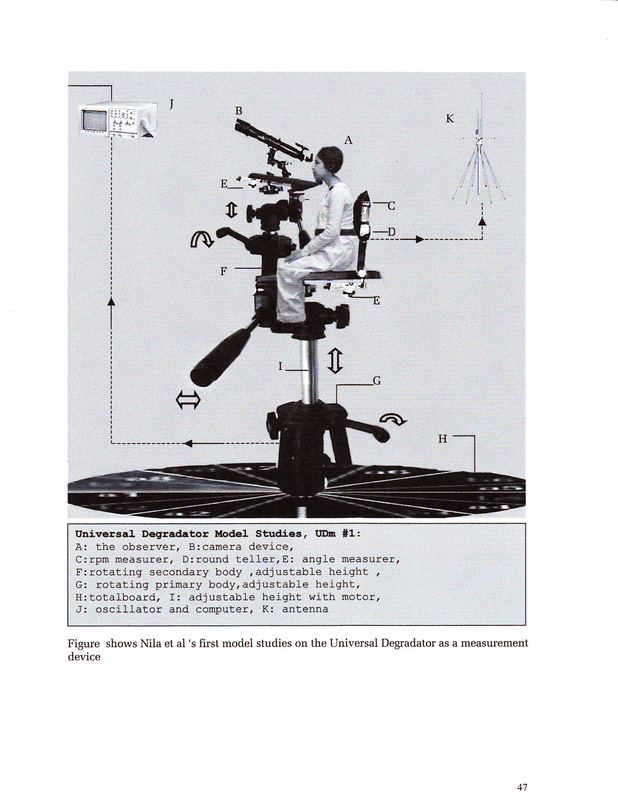 Nila et al therefore builds a device called the Universal Degradator (Universal Degradator, the measurer – UDm). UDm gradually converts itself from being a scientific instrument to a performing device UDp (Universal Degradator, the measurer – UDp). Nila et al succeeds in finding an intersection point of at least two disciplines and creates a performance area to present their theory. Nila et al mathematically proves that this theory is inconsistent as an axiomatic method and can only be applied one time.